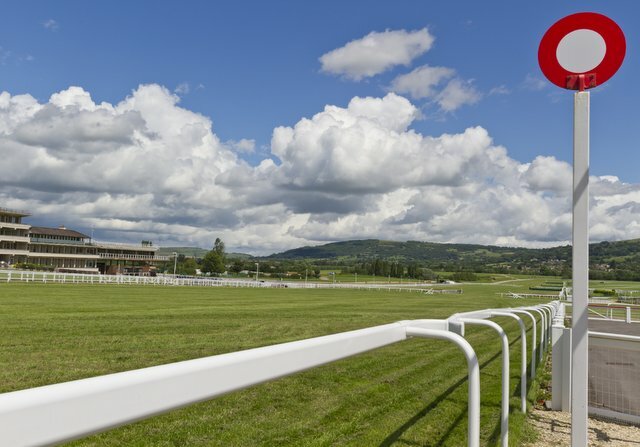 In March of every year the Cheltenham race course comes alive for the Cheltenham Festival, a highlight of the National Hunt horse racing calendar. Hire a helicopter to the Festival and arrive in style at one of the most atmospheric meetings of the year. Arrive by helicopter, avoid the traffic and embrace the famous “Cheltenham Roar” that follows the horses home as they enter the final furlongs of each race. The festival runs over 4 days and the prize money on offer is second only to the Grand National meeting at Aintree in April. The centrepiece of the festival is the Cheltenham Gold Cup, a race over 22 fences and a distance of 3 miles 2.5 furlongs. The Gold Cup is the most prestigous of the races on the National Hunt calendar and the most valuable non-handicap race in Britain. Helicopters can be chartered to any of the four day’s of the festival. The meeting starts with Tuesday’s Champion Day and the most important hurdle race of the season. Wednesday is Ladies Day and features the Queen Mother Champion Chase, one of the highlight’s of the festival. On Thursday, Cheltenham racegoers celebrate St Patrick’s Day, very popular with Irish who flock to Cheltenham in their droves. The final day of racing is Gold Cup Day and the climax of the entire jump racing season. Whichever day you choose, hiring a helicopter to fly you to the Cheltenham Festival will allow you to avoid the traffic and offer an easy trip home at the end of the day’s racing.